When the White House throws an event, there is no room for mistakes or errors. For this reason they turned to JH Specialty to supply 5000 custom plastic stadium cups for their 4th of July party. The White House found JH Specialty through one of their many premier online stores, CustomStadiumCup.com. According to Troy Lewis, the Director of Online Sales at JH Specialty, "The order went off without a hitch. 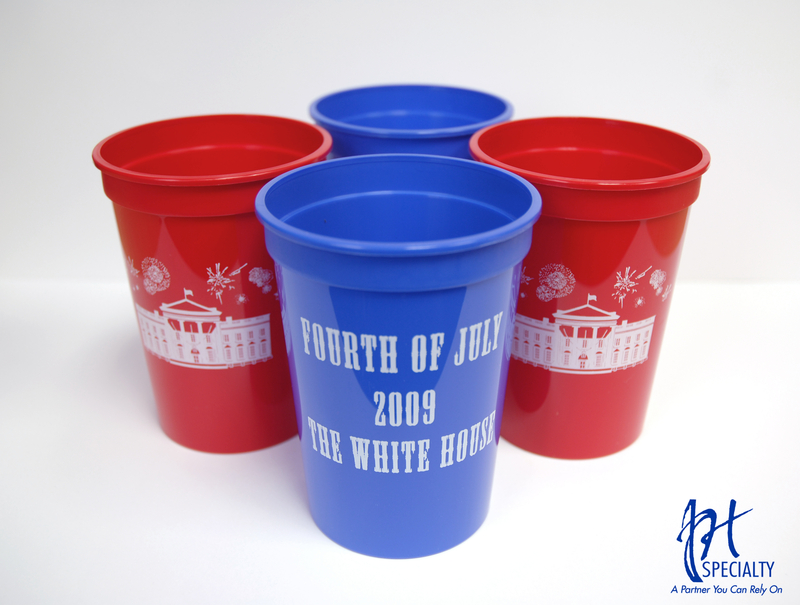 The White House staff was easy to work with, and we were able to deliver the cups right on schedule." JH Specialty is proud to be a part of one of the largest, and most prestigious 4th of July celebrations in the country.